Jacob Ruden graduated from the University of Pennsylvania in 2015 with a Bachelor of Arts in Biological Basis of Behavior. Jacob moved to Nashville and joined Vanderbilt University’s Interdisciplinary Graduate Program in 2015. 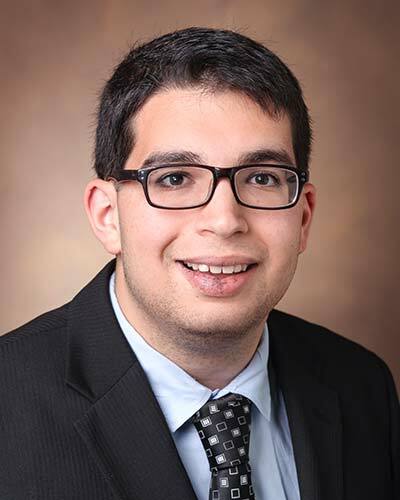 He completed laboratory rotations before joining the Laboratory of Dr. Laura Dugan (Division of Geriatric Medicine in the Department of Medicine, Vanderbilt University Medical Center) and the Neuroscience Graduate Program in 2016. Jacob is currently a Neuroscience PhD Candidate at Vanderbilt University. He is exploring how parvalbumin interneurons, an important subset of inhibitory neurons in brain, respond to injury, and whether this response can be prevented and/or reversed.